The John Cooper Works Knights Edition, however, had never seen a show floor before. And this special edition is nothing less than gorgeous to look at. 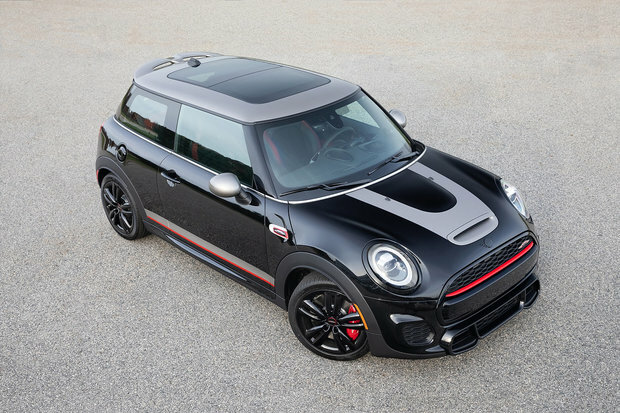 It is based on a MINI John Cooper Works Hardtop, and it features a tasteful mix of black and silver factory components as well as aftersales accessories, inside and out. Only one colour is available for the Knights edition, which is the Midnight Black exterior paint. On the top, you will find a Melting Silver roof, and on the sides, mirror caps are painted with the same colour. Custom melting silver bonnet stripe and melting silver and red side stripes design are strategically placed on the cars body, giving it a sporty yet refined look. The Piano Black colour is classy, yet it also signifies performance. That’s why MINI used Piano Black exterior trims, Piano black door handles and fuel filler cap and Piano black MINI logos to further increase the look of the MINI John Cooper Works Knights Edition. The beauty of a MINI also comes with the sound of its 228 horsepower, four- cylinder 2.0 Litre engine. So, MINI proposes the perfect equipment for the Knights Edition: a John Cooper Works Exhaust Flap System that enables drivers to adjust the sound according to their preferences. The MINI John Cooper Works Knights Edition will be available at our dealership in the spring of 2019. 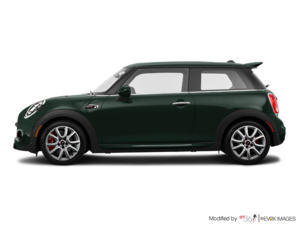 Come and see us at MINI Ottawa to learn more about this new addition to the MINI family.